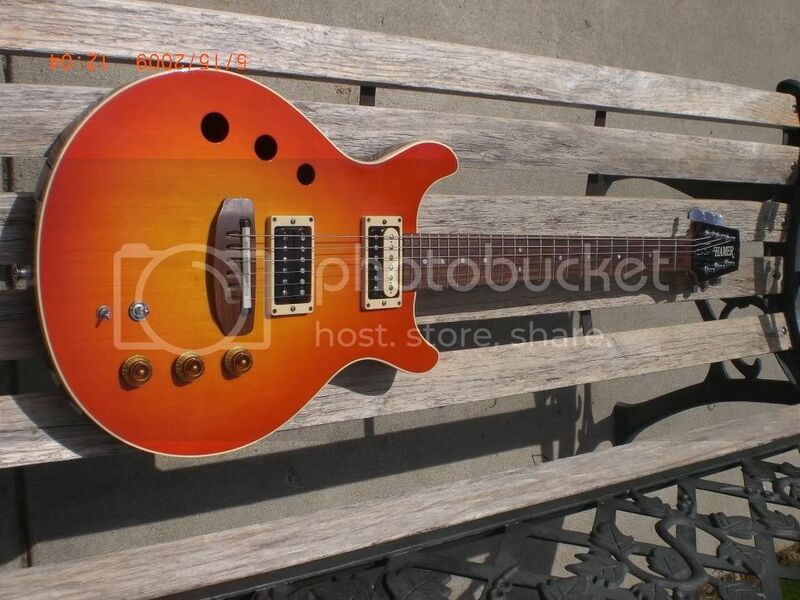 Options for LP- or Tele-sized solid-body semi-hollows? Discussion in 'Guitars in General' started by guitarlifestyle, Apr 18, 2016. 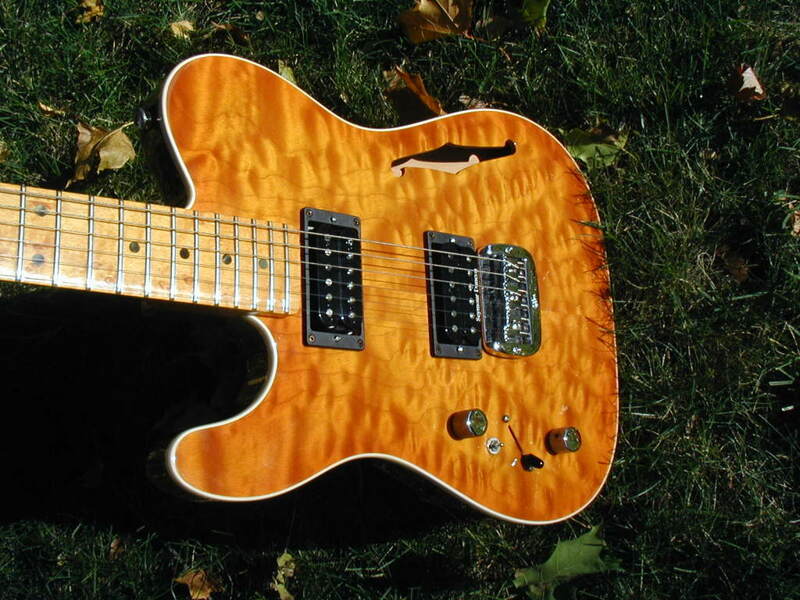 I'm looking for a smaller solid-body semi-hollow guitar and am wondering what options are out there for around $2000-2500 or less. Ideally I'd like to find something that is around the size of a Telecaster or a Les Paul and that has a fairly thin neck. 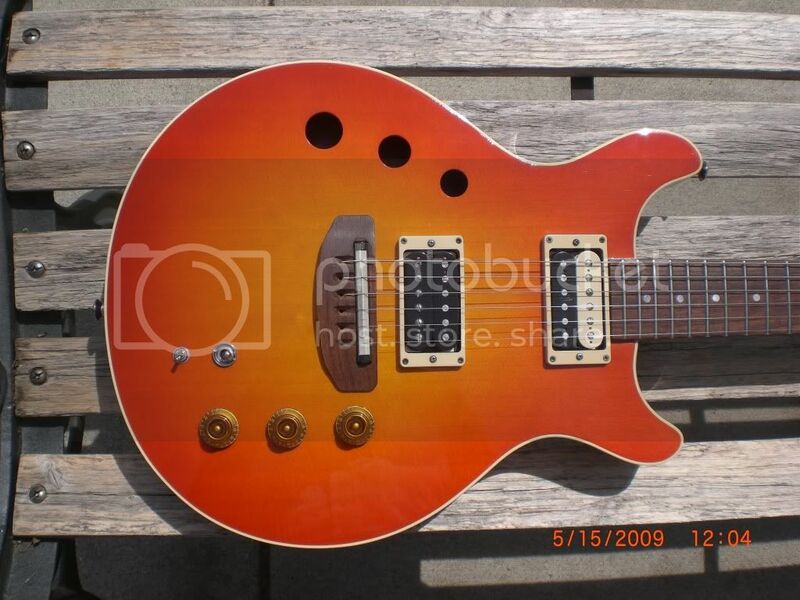 I prefer humbuckers as well. 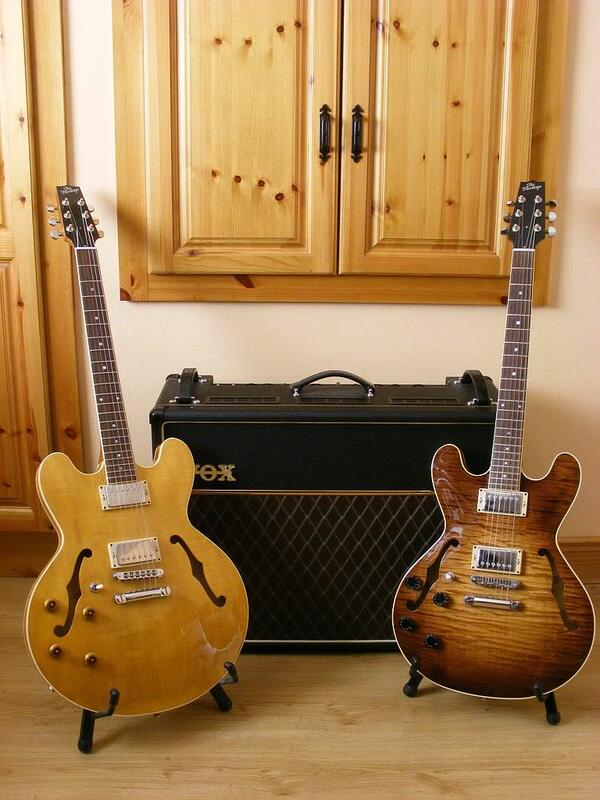 There's the Les Paul ES Florentine and Tele Thinline, have you tried either? I have tried a Heritage Millennium, which was similar in size to the ES Florentine model, but I haven't tried the ES Les Paul yet. 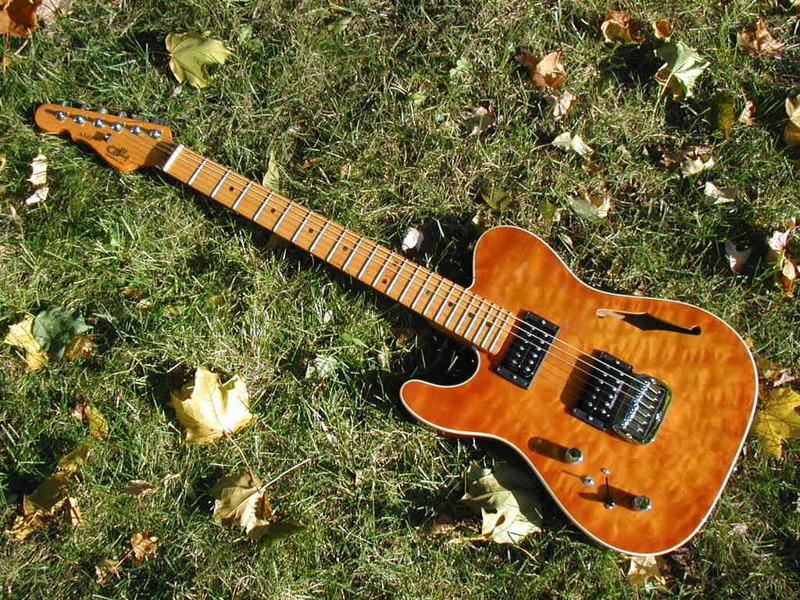 I've owned several of the MIM Tele Thinlines and wasn't blown away by any of them. I'd like to try one of the short-lived MIA models with the 9.5" radius, but those are difficult to find. Heritage Prospect ... pictured beside a Heritage Millie. 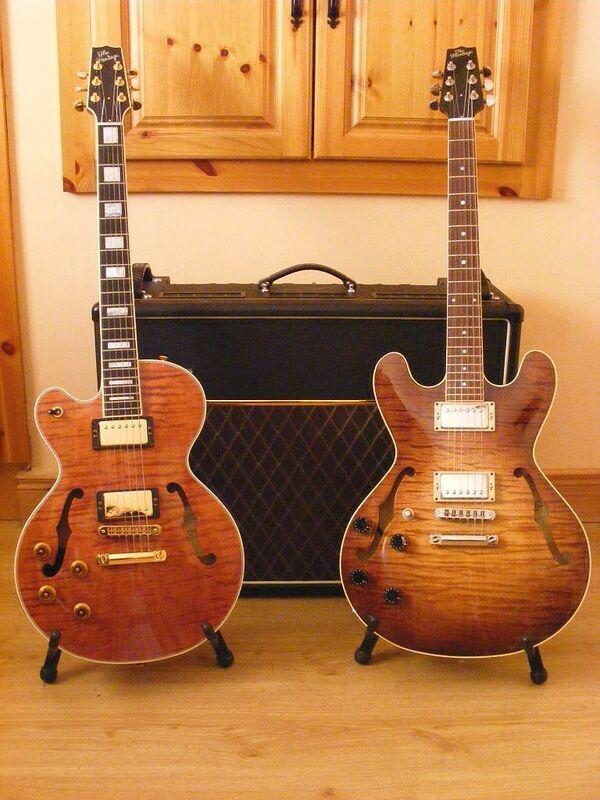 As the Millie is semi solid, and the Prospect is semi hollow the two sound very different. .. and with a 535 for size comparison ..
Not sure the "semi" in the ASAT Deluxe does that much for the tone, it sounds similar to the solid body version of the same model. 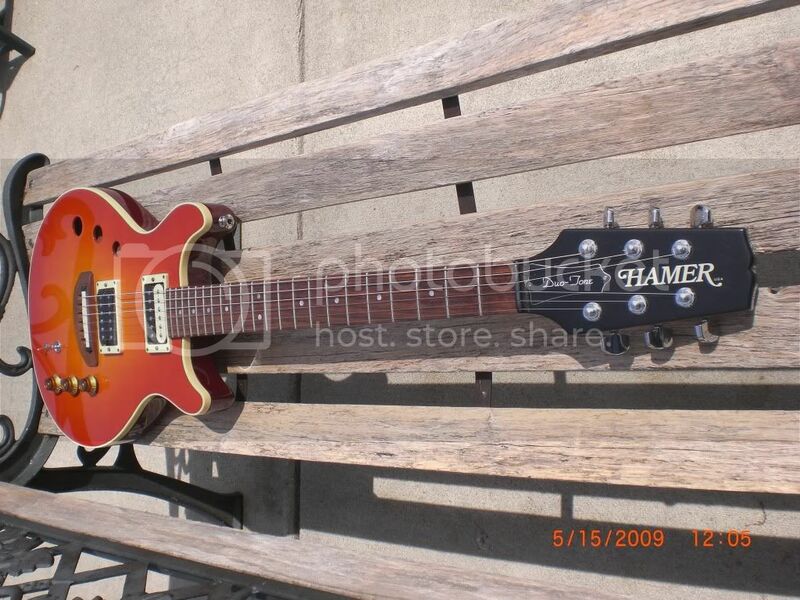 Hamer 3 hole Duotone.. With Piezo Bridge.. Or the "F" hole version.. I'm curious about the Prospects, although my understanding is that they're laminate and not solid-bodies. 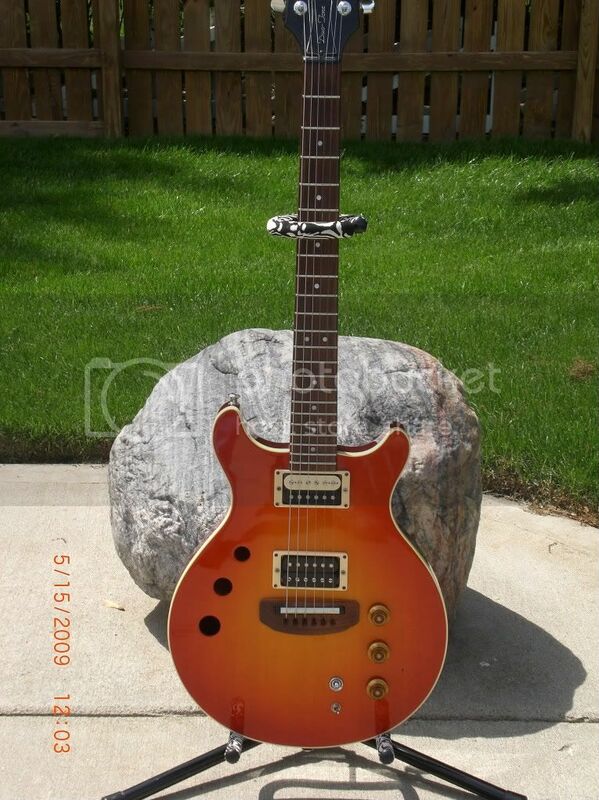 I used to own a Millennium SAE model, and it was a really nice guitar.